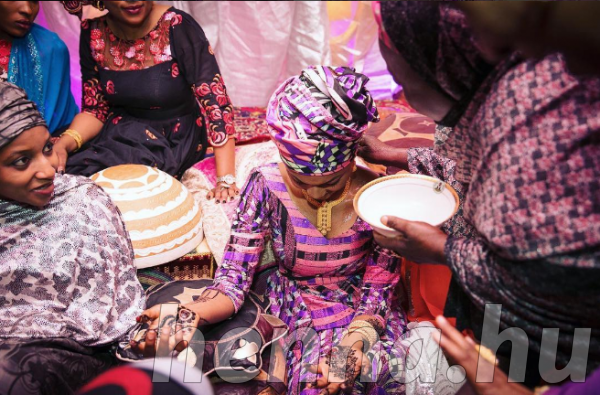 Often performed on the eve of the wedding day, Zahra Buhari’s version of the bridal preparation ritual known as the henna ceremony held on Thursday. 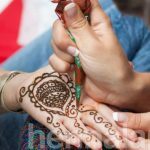 Henna, a skin decoration commonly used in India and the Middle East, is applied to the palms and feet of the bride-to-be. The mehndiwali, a female relative, is expected to carry out the application. Other members of the bride’s family and guests also put henna on their hands. 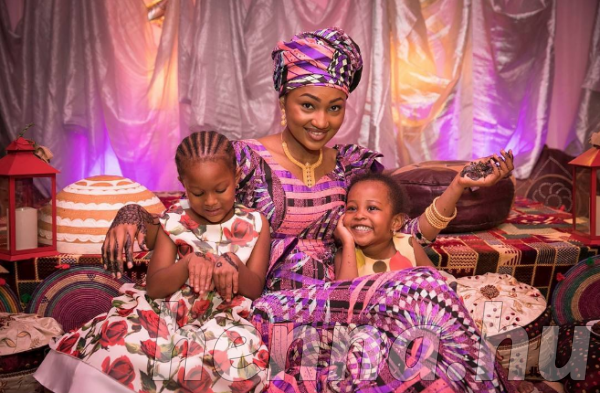 Here are pictures from the first daughter’s ceremony. 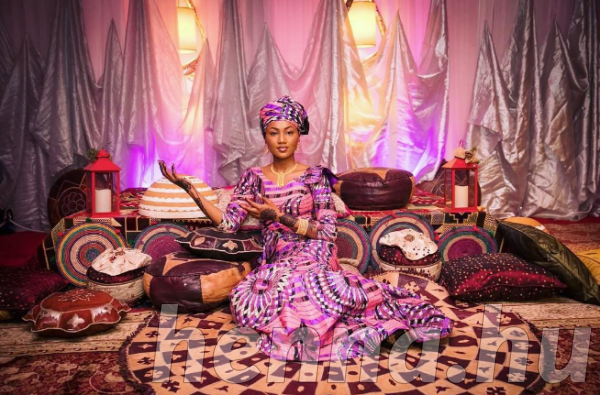 Zahra’s wedding to Ahmed Indimi, son of billionaire business oil magnate, Mohammed Indimi, will hold Friday, December 16.